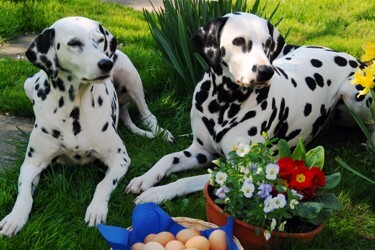 Mondy (*8.4.2000 +16.7.2015) - our second dalmatian - was born 19 years ago. 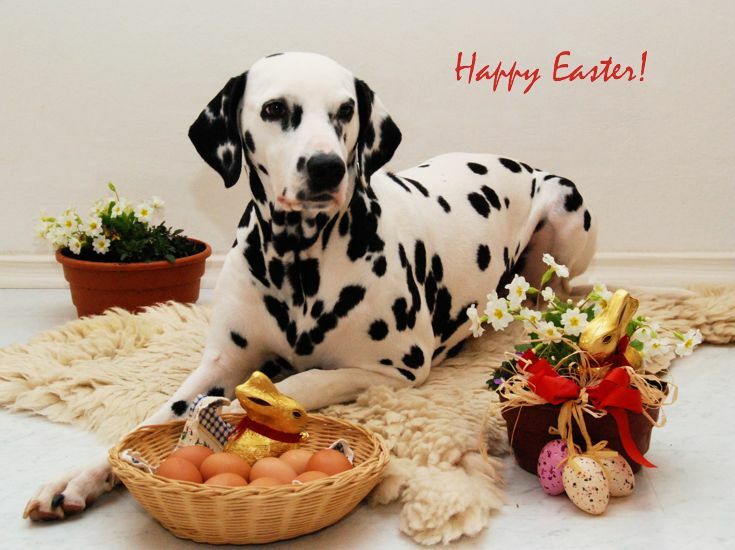 Elka Fanfano (*25.1.1995 +26.7.2010) - our first dalmatian - was born 24 years ago. 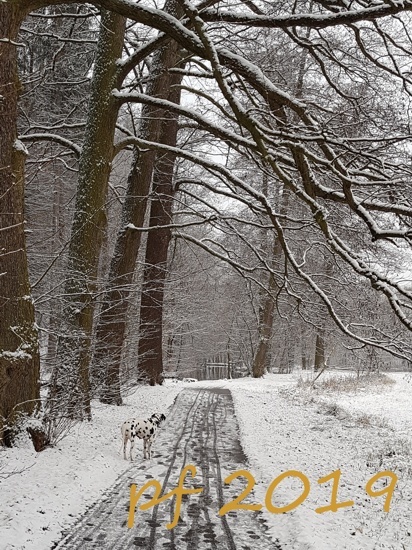 A Happy New Year 2019 to all our visitors! Our puppies from "G" litter (*13.11.2010) celebrate their 8th birthday today! Our congratulations and best wishes to their owners! Our puppies from "H" litter (*21.10.2012) celebrate their 6th birthday! Our congratulations and best wishes to their owners. Our "C-litter" was born 15 years ago (*2.8.2003). Dam: Ch. Diamond Lily Raul (Mondy) x Sire: ICh. Zeno von Waldhagen. Our Kimberly had her 10th birthday. Our first puppies were born 20 years ago. "A" litter (*6.5.1998). Elka Fanfano x Argo Monzden. 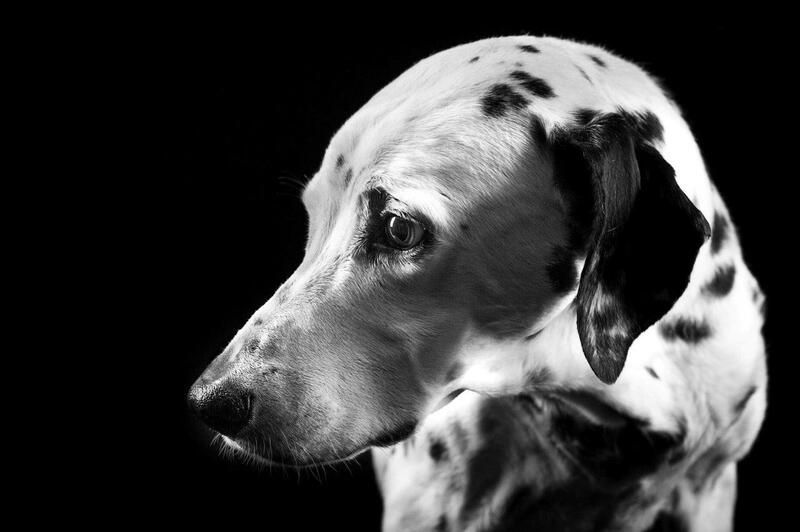 Mondy (*8.4.2000 +16.7.2015) - our second dalmatian - was born 18 years ago. 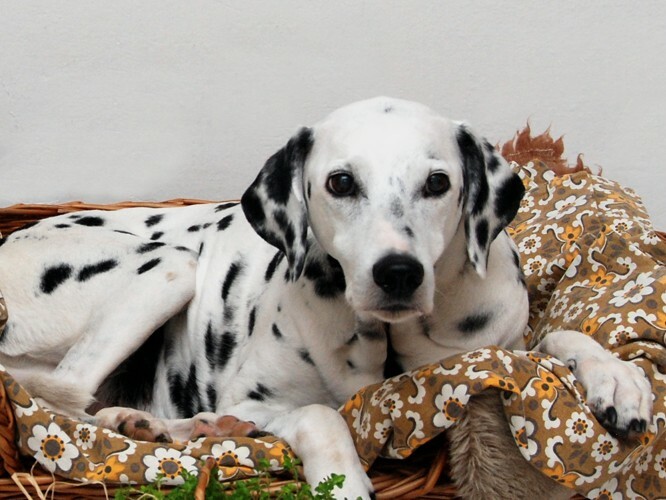 Elka Fanfano (*25.1.1995 +26.7.2010) - our first dalmatian - was born 23 years ago. Bridget Jones Heart Javapami "Zuzanka" celebrates her 16th birthday today! Thanks fantastic care of her owner Iva. Thank you, Iva! Our puppies from "G" litter (*13.11.2010) celebrate their 7th birthday today! Our congratulations and best wishes to their owners! Our puppies from "H" litter (*21.10.2012) celebrate their 5th birthday! Our congratulations and best wishes to their owners. New puppies were born in German kennel de Salmeron. Parents S: Unique You-e von Arabian's Stud x D: Gracy Gold Galaxy Javapami. 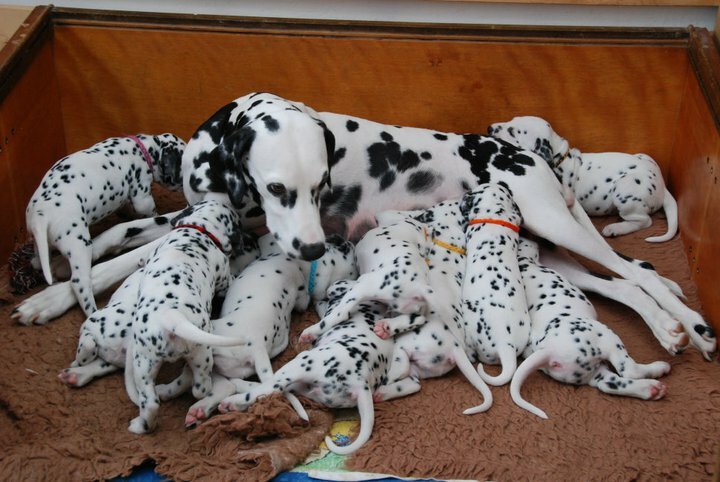 Litter F, together 9 puppies (3 males black and 2 males liver spotted, 3 females black and 1 female liver spotted). Information is also here. 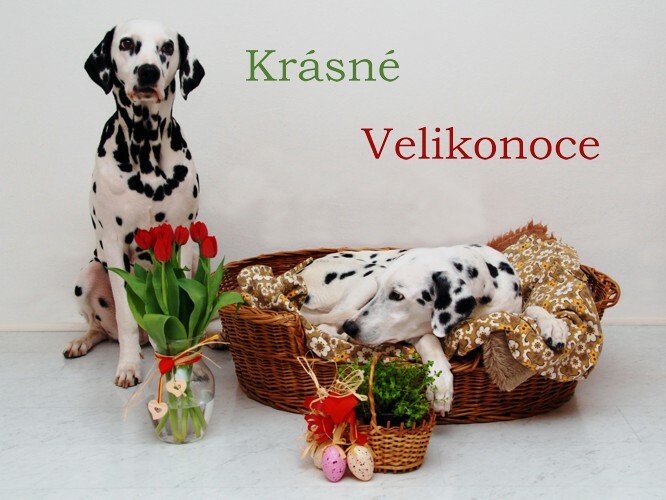 New puppies were born in kennel Vitmar. Parents S: Henry Hero Javapami x D: Uly Eliška Vitmar. 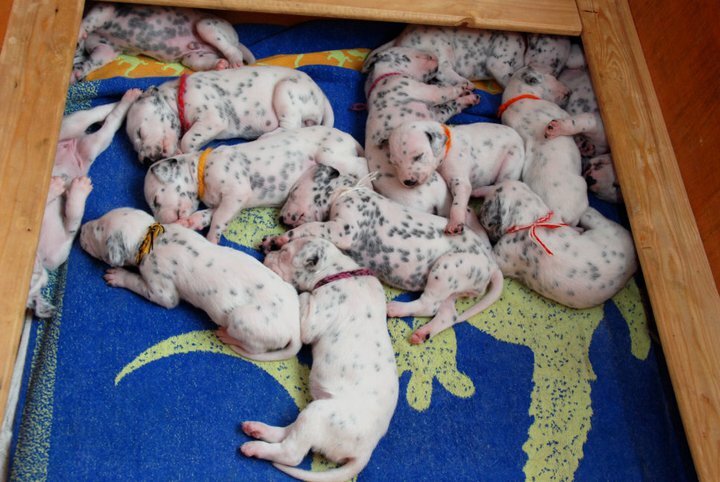 Litter Y: together 9 puppies (4 males black and 1 male liver spotted and 4 females black spotted). Our "C-litter" was born 14 years ago (*2.8.2003). Dam: Ch. Diamond Lily Raul (Mondy) x Sire: ICh. Zeno von Waldhagen. Our Kimberly had her 9th birthday. Our first puppies were born 19 years ago. "A" litter (*6.5.1998). Elka Fanfano x Argo Monzden. Our "E-litter" was born 11 years ago (4.5.2006). Dam: Diamond Lily Raul (Mondy) x Sire: Checkpoint Bravo's Amadeus. 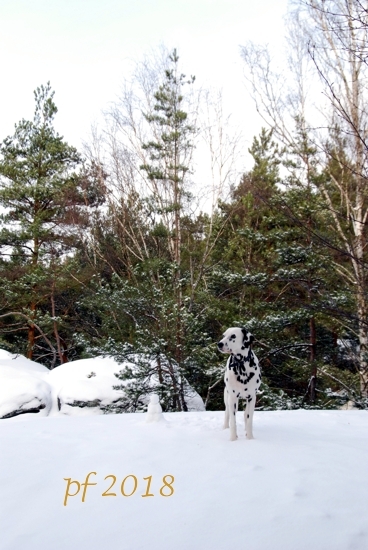 Mondy (*8.4.2000 +16.7.2015) - our second dalmatian - was born 17 years ago. 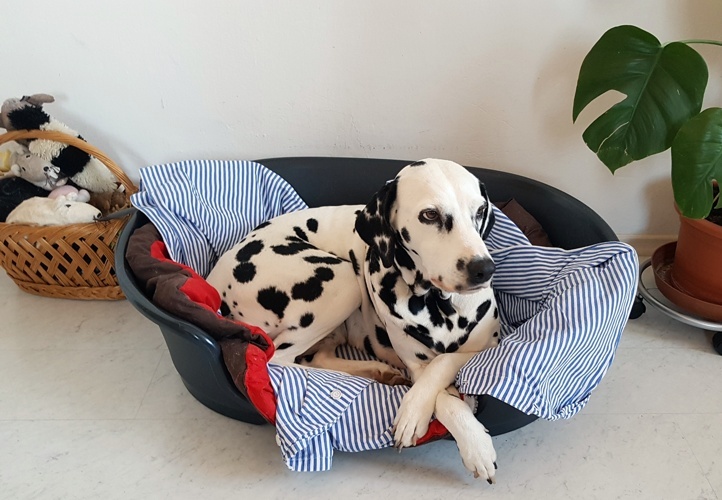 Elka Fanfano (*25.1.1995 +26.7.2010) - our first dalmatian - was born 22 years ago. Merry Christmas to all our visitors! Our puppies from "G" litter (*13.11.2010) celebrate their 6th birthday! Our congratulations! Our puppies from "H" litter (*21.10.2012) celebrate their 4th birthday! Our congratulations and best wishes to their owners. Our "C-litter" was born 13 years ago (*2.8.2003). Dam: Ch. Diamond Lily Raul (Mondy) x Sire: ICh. Zeno von Waldhagen. New puppies were born in kennel de Salmeron (DE) - 2 males and 9 females. Their mother is Gracy Gold Galaxy Javapami. Pedigree and pictures are here. Elegant Ernie Javapami died in his 10 years. Our Kimberly had her 8th birthday. Here are some pictures. Our first puppies were born 18 years ago. "A" litter (*6.5.1998). Elka Fanfano x Argo Monzden. Our "E-litter" was born 10 years ago (4.5.2006). Dam: Diamond Lily Raul (Mondy) x Sire: Checkpoint Bravo's Amadeus. 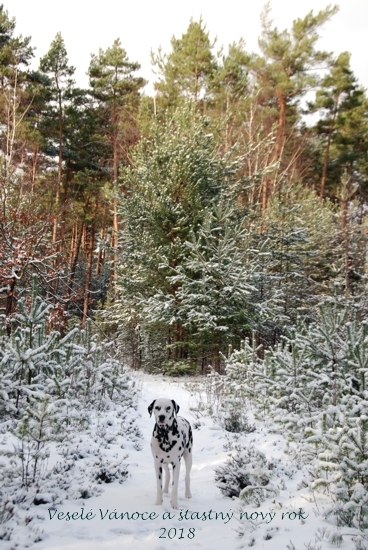 Mondy (*8.4.2000 +16.7.2015) - our second dalmatian - was born 16 years ago. Our Easter visit at Šarlotka (Helene Lovely Girl Javapami). 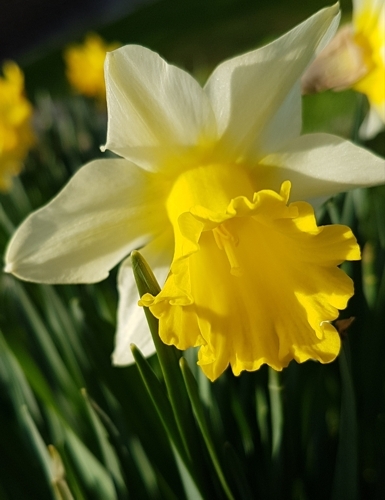 Happy Easter to all our visitors! 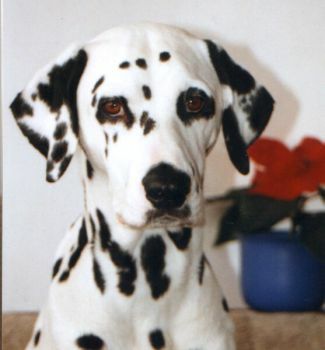 Elka Fanfano (*25.1.1995 +26.7.2010) - our first dalmatian - was born 21 years ago. A Happy New Year 2016! Puppies from our "D" litter (*4.12.2004) celebrate their 11th birthday! Our congratulations! Huckleberry Boy Javapami died in age of 3 years. The cause was lung embolism after urgent surgery. Our consolation is that he spent his last days with loving people who did for him all they can. Thanks. Our puppies from "G" litter (*13.11.2010) celebrate their 5th birthday! Our congratulations! Our puppies from "H" litter (*21.10.2012) celebrate their 3rd birthday! Our congratulation and best wishes to their owners. Our "C-litter" was born 12 years ago (*2.8.2003). Dam: Ch. Diamond Lily Raul (Mondy) x Sire: ICh. Zeno von Waldhagen. Today we said our last goodbyes to our Mondy (Diamond Lily Raul). She was 15 and 1/4 years old. She did not suffer, she only was not able to walk or move anymore. She was together with us happy and loved until last moment. We are very grateful to her for the time we spent together. 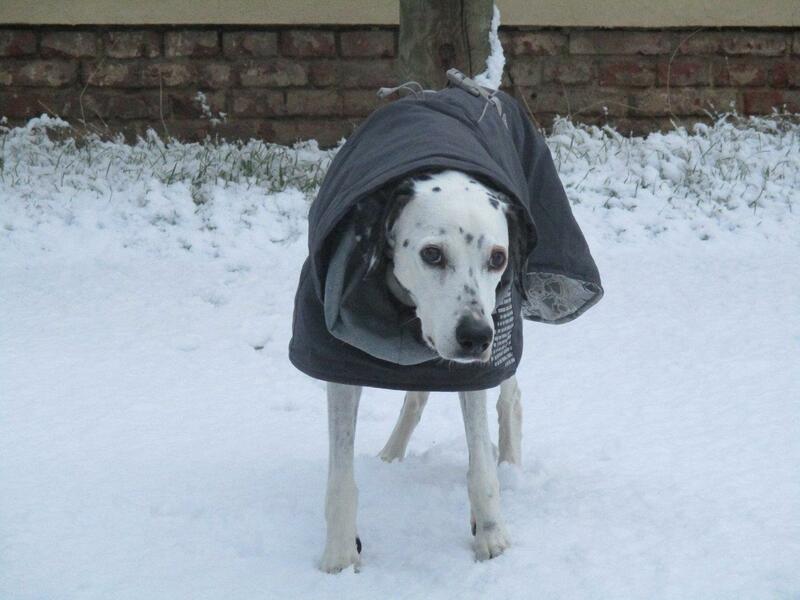 Clayton Duke Javapami passed away - he lived nearly 12 years in dalmatiner kennel von Arabian's Stud in Germany. R.I.P. We thank Manuela and Manuel Esteves for their loving care for him. Our Kimberly had her 7th birthday. Our first puppies were born 17 years ago. "A" litter (*6.5.1998). Elka Fanfano x Argo Monzden. Our "E-litter" was born 9 years ago (4.5.2006). Dam: Diamond Lily Raul (Mondy) x Sire: Checkpoint Bravo's Amadeus. Mondy celebrated her 15th birthday. Our Kimberly is a grandma. New puppies were born in kennel Dalmatiner de Salmerón (D). Mutter is Gracy Gold Galaxy Javapami and father is Ich. Quaterback Perfekt Time von Arabian´s Stud. The visit at Helene Lovely Girl Javapami (Charlotte). We were there with Kimberly - the girls were very happy about themselves. 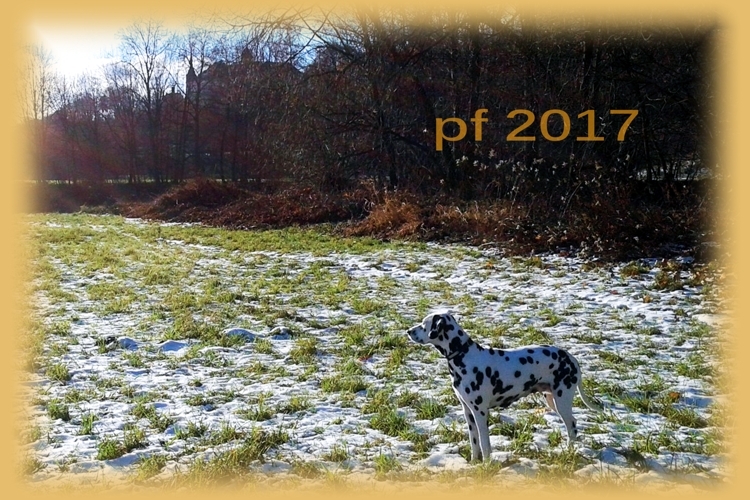 Elka Fanfano (*25.1.1995 +26.7.2010) - our first dalmatian - was born 20 years ago. She lives still in our memories. Gracy Gold Galaxy Javapami was mated with Ich. 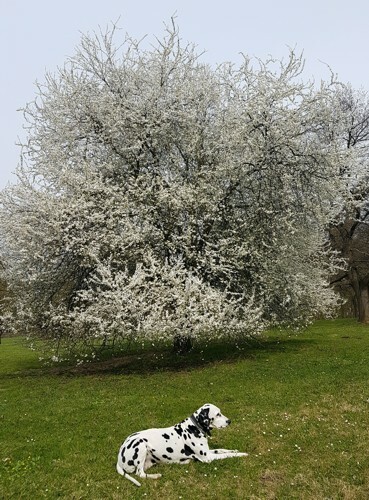 Quaterback Perfekt Time von Arabian´s Stud in kennel Dalmatiner de Salmerón (Germany). 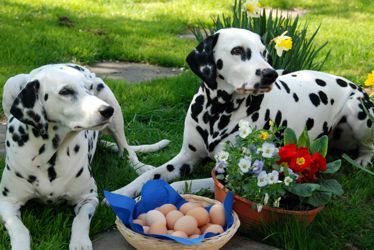 The puppies are expected on the beginning of March. Puppies from our "B" litter (*23.12.2001) celebrate their 13th birthday! Our congratulations to their owners! Puppies from our "D" litter (*4.12.2004) celebrate their 10th birthday! Our congratulations! Our puppies from "G" litter (*13.11.2010) celebrate their 4th birthday! Our congratulations! Our puppies from "C" litter (*2.8.2003) celebrate their 11th birthday! Our congratulations! The male Henry Hero Javapami (sire: ICh. 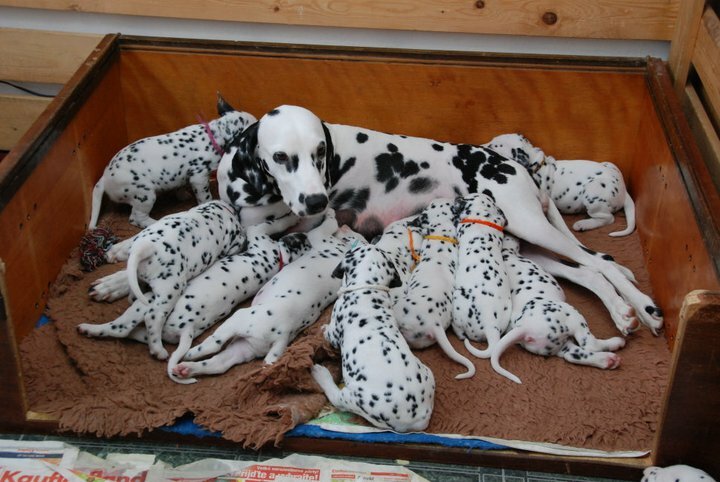 Double Reason Sunset Dalmatian x dam: Ch. Kimberly Javapami von Arabian's Stud, owner Hana and Pavel Pycha) and the female Eliska Eminence Teckovany pritel (sire: Blade Runner Javapami x dam: Ch. 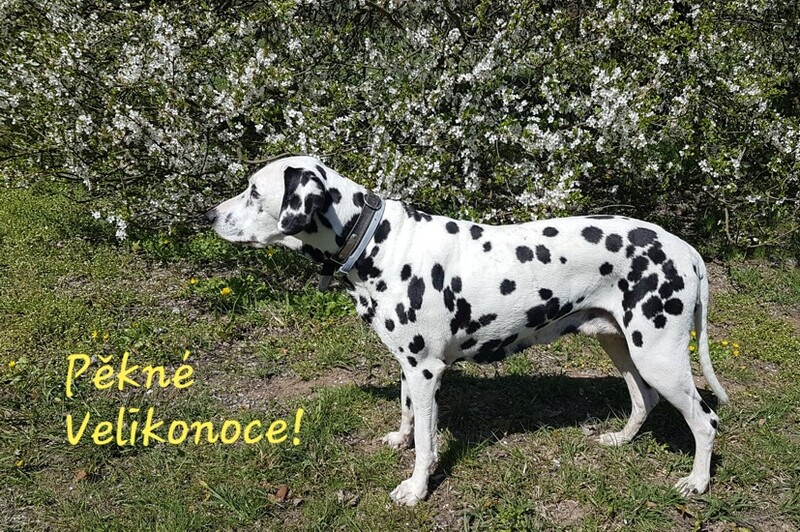 Dunne Diamond Javapami, owner and breeder Jarka Janouchova) completed successfully the Traffic-Steady Companion Dog Test (BH).Our congratulations! Our Kimberly had her 6th birthday. As we will celebrate it some days later, you can find some her present pictures here for now. - Birthday pictures are here. Altogether 15 puppies were born in kennel Danarny on 20th a 21st May. Dunne Diamond Javapami died in her 9 years. Our first puppies were born 16 years ago. "A" litter (*6.5.1998). Elka Fanfano x Argo Monzden. Some pictures from our daily walking nearby Jizera river. Our "E-litter" was born 8 years ago (4.5.2006). Diamond Lily Raul x Checkpoint Bravo's Amadeus. Mondy celebrated her 14th birthday. Donatella Dolce Javapami died in her 9 years. Puppies are expected in Danarny kennel. 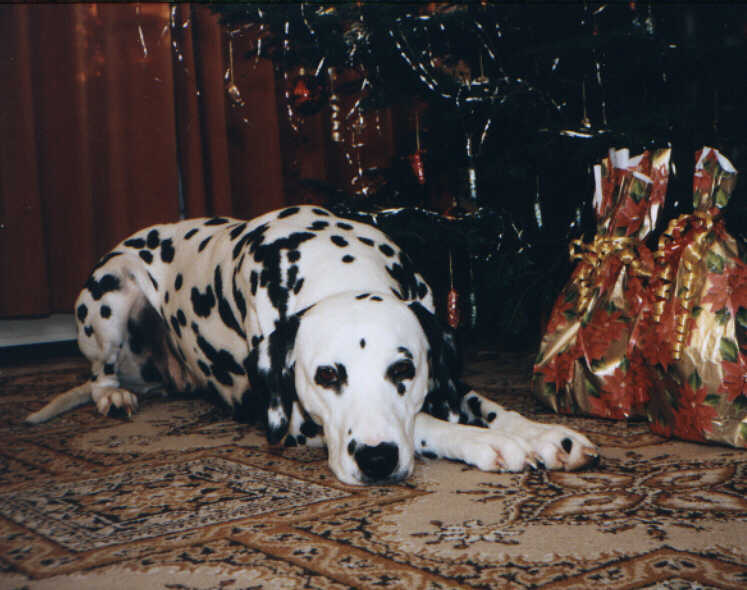 Elka Fanfano (*25.1.1995 +26.7.2010) - our first dalmatian - would have her birthday today. She lives still in our memories. A Happy New Year 2014! Puppies from our "B" litter (*23.12.2001) celebrate their 12th birthday! Our congratulations to their owners! 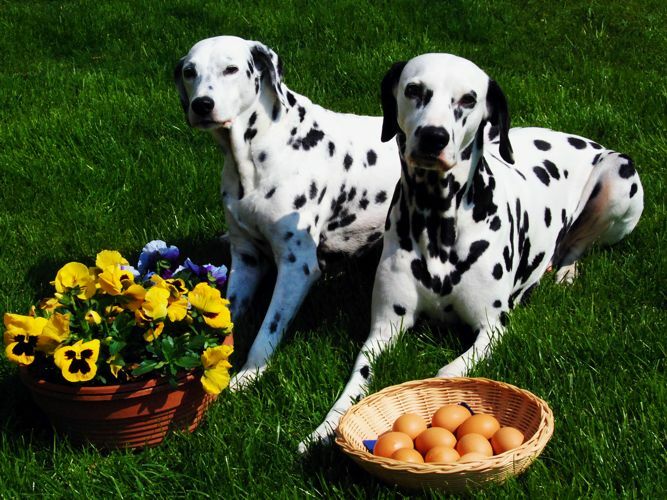 Puppies from our "D" litter (*4.12.2004) celebrate their 9th birthday! Our congratulations! Henry Hero Javapami completed successfully basic training in a puppy school. Our congratulations! 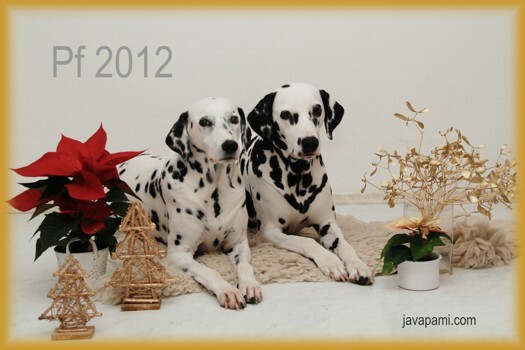 Our puppies from "G" litter (*13.11.2010) celebrate their 3rd birthday! Our congratulations! 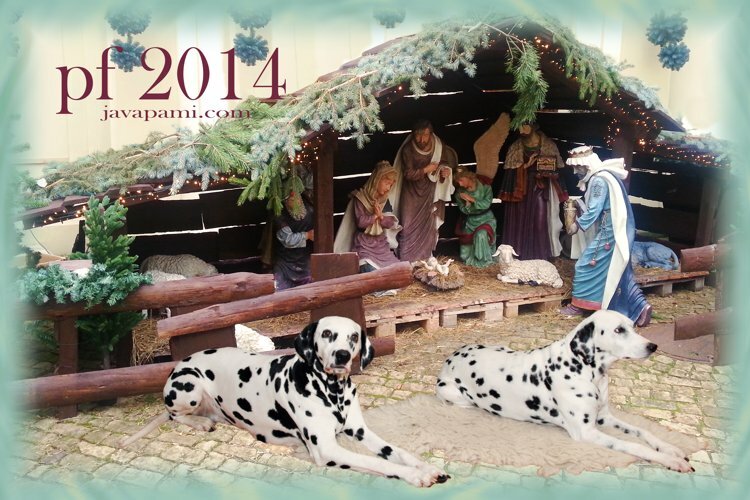 Bridget Jones Heart Javapami took part on Dalmatian Club Show in Prague (veteran class). Here are some pictures. Our puppies from "H" litter (*21.10.2012) celebrate their 1st birthday! Our congratulation and best wishes to their owners! We got some pictures of Gordon Black Diamond (Toni) from his family in Berlin. Helene Lovely Girl Javapami (Sarlotka) visited us in Turnov. Some pictures are here. Some pictures from our reunion with Jonas (Henry Hero Javapami) in Mlada Boleslav, CZ. Our Kimberly and Mondy liked to play with him very much. Clayton Duke Javapami (10 years old) became father again. 5 puppies (2 males - 1 black and 1 liver spotted, 3 liver spotted females) were born in kennel vom Isfeld. The mother is Angelina vom Isfeld. Our puppies from "C" litter (*2.8.2003) celebrate their 10th birthday! Our congratulation! We stayed with our Kimberly for some days in Beskydy Hills (CZ). Our Kimberly celebrated her 5th birthday. Our first puppies were born 15 years ago. "A" litter (*6.5.1998). Mondy celebrated her 13th birthday. Our early spring walk - some rather winter pictures. 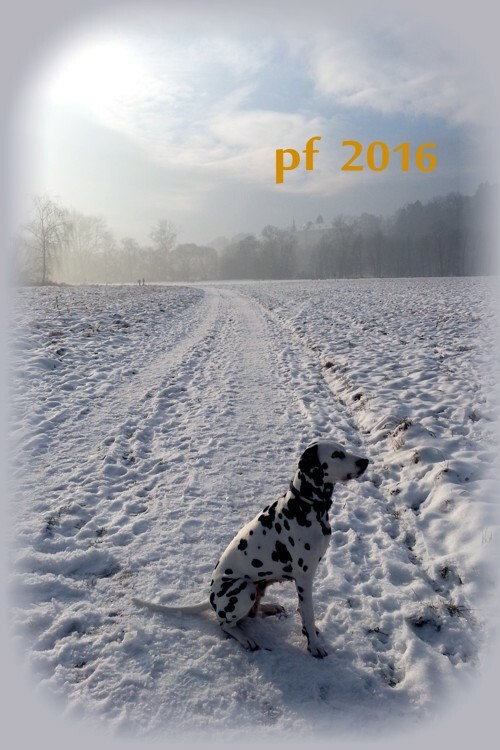 Today Elka Fanfano (*25.1.1995 +26.7.2010) - our first dalmatian - would have her birthday. She lives still in our memories. Harvey Heaven Javapami went to his new home today. All puppies from our H-litter are in their new families. All the best to them and their owners! Honey Hank Javapami went into his new home today. Our New Year celebration - some pictures. A Happy New Year 2013! Heroic Hubert Javapami went into his new home. Honey Hank Javapami (BAER bil+, standard.) is still not reserved. The puppies got the fifth worm treatment and have their nails cut. Honey Hank Javapami and Heroic Hubert Javapami are still not reserved. They are bilateral hearing (BAER bil+, as the whole litter) and standard. Some of pictures of Hank are here and some of pictures of Hubert are here. The puppies were second time vaccinated and checked by a vet. Puppies from our "B" litter (*23.12.2001) celebrate their 11th birthday! Our congratulations to their owners! New pictures of puppies - 9 weeks. Helene Lovely Girl Javapami went into her new home (Prague). The puppies are 8 weeks old and 5 puppies went to their new homes: Harmony Heart Javapami "Rambo" (to Pardubice, CZ), Huckleberry Boy Javapami (to Neveklov at Prag), Henry Hero Javapami (to Teplice, CZ), Hermiona Magic Javapami (to Otterfing at Munich, D) und Harry Magic Javapami (to Nossen, D). We wish them to be happy in their new homes and send our greetings to their owners. Another pictures from 7 weeks - Part 1 - Part 2. New pictures of puppies - 7 weeks. The puppies were vaccinated and checked by a vet. All males from our H-litter have both testicles descended into scrotum. Pictures of puppies taken on 1.12.2012 - 6 weeks. Puppies from our "D" litter (*4.12.2004) celebrate their 8th birthday! Our congratulations! Pictures of puppies taken on 30.11.2012 - 6 weeks. All puppies from H-litter are bilateral hearing (BAER bil+)!!! The puppies are 5 1/2 weeks old (some pictures), they got the third worm treatment and have their nails cut. The puppies are five weeks old - some pictures from the garden. Pictures of puppies taken on 18.11.2012. The puppies are four weeks old (some pictures), they got the second worm treatment and have their nails cut. And they went outside in the garden (see some pictures) for the first time! 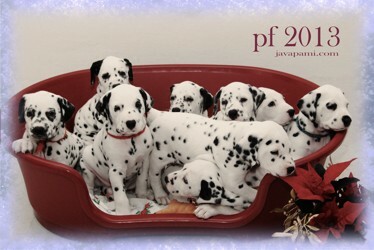 Our puppies from "G" litter (*13.11.2010) celebrate their 2nd birthday! Our congratulations! The puppies are three weeks old. New pictures are here and here. The puppies are two weeks old and they are doing well. They got the first worm treatment three days ago. Here you can find some pictures and here are another pictures. The puppies are growing like a weed. Some todays pictures - the puppies are just one week old. Our H-puppies - 3rd and 4th day - some pictures. Our H-puppies comming! Today 9 puppies - 7 boys and 2 girls - were born by our Kimberly. Kimberly and puppies are OK. Birth weights: males 420 - 400 - 480 - 430 - 400 - 410 - 340 g, females 400 - 390 g.
Mondy and Kimberly in orchard. Some pictures of Kimberly (55 days pregnant). Some pictures of Kimberly (47 days pregnant). Aaron Javapami died in his nearly 14 and half years. We are very sad. Some pictures of Kimberly (40 days pregnant). Kimberly is pregnant. 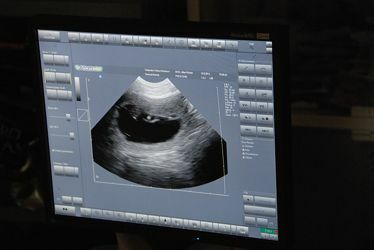 An ultrasound examination has confirmed it. We are looking forward to puppies. Arlette Javapami died in her nearly 14 and half years. We are very sad. 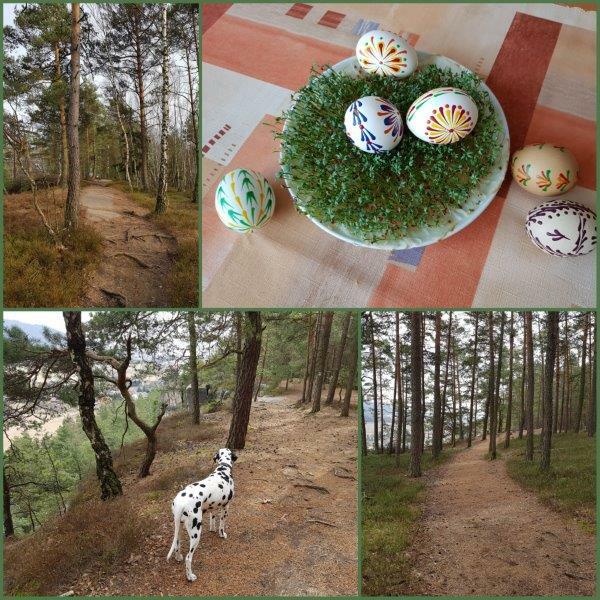 Some pictures from our trip to Jizera Hills. Ch. Kimberly Javapami von Arabian's Stud was mated with liver spotted male dog Ch. Double Reason Sunset Dalmatian on the 20th and 21th August. 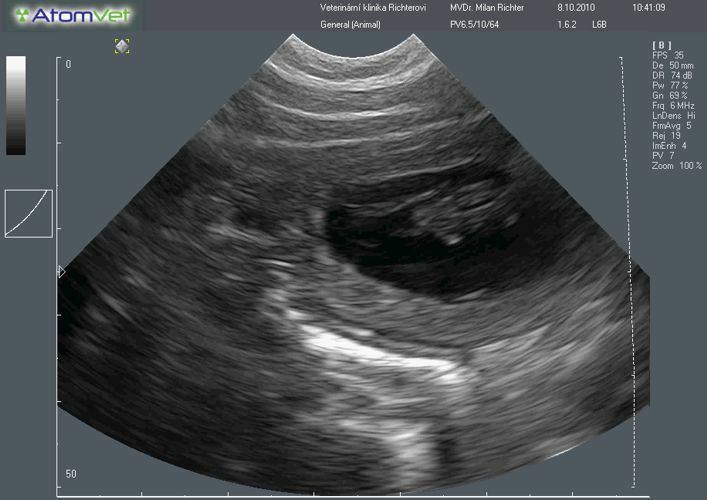 All was OK, ultrasound examination will be around the 20.9. and puppies - "H" litter Javapami - are expected on the 23.10.2010. Kimberly is in heat, the mating is planed around 19.8.2012. The puppies - H-litter - shall be born around 20th October. Next info is here. Our puppies from "C" litter (*2.8.2003) celebrate their 9th birthday! Our congratulation! Some pictures from our short trip into Czech Paradise. Visit of Zuzanka (Bridget Jones Heart Javapami) and a walk. Our Kimberly celebrated her 4th birthday. Our first puppies were born 14 years ago. "A" litter (*6.5.1998). Our puppies from "E" litter (*4.5.2006) celebrate their 6th birthday! Our congratulation! Some pictures from our trip to Pecka castle. We obtained some snaps of Gwen Golden Pearl Javapami in her home. We obtained some snaps of Gorgeous Galina-Gia Javapami in her home in Prague. Mondy celebrated her 12th birthday. We obtained some pictures of Gordon Black Diamond Javapami in his home in Berlin. We got two pictures of Edwin Wilson Javapami in his home. Arny Javapami died in his nearly 14 years. We are very sad. You could find some his pictures here. The puppies from F-litter Javapami by Donatella Dolce Javapami (owner Martina Krizkova) celebrate their 2nd birthday today. Our congratulations!!! 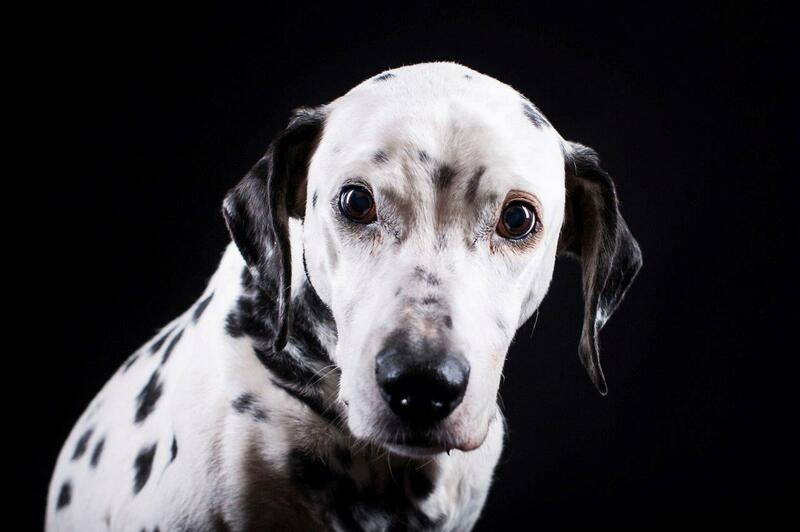 Today Elka Fanfano (*25.1.1995 +26.7.2010) - our first dalmatian - would reach 17 years. She lives still in our hearts. A Happy New Year 2012!